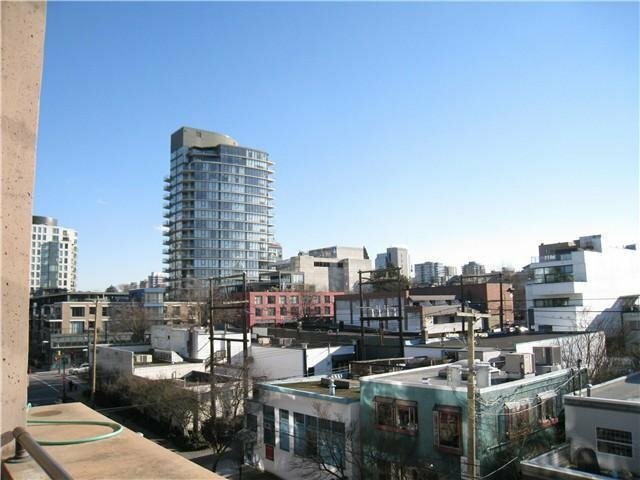 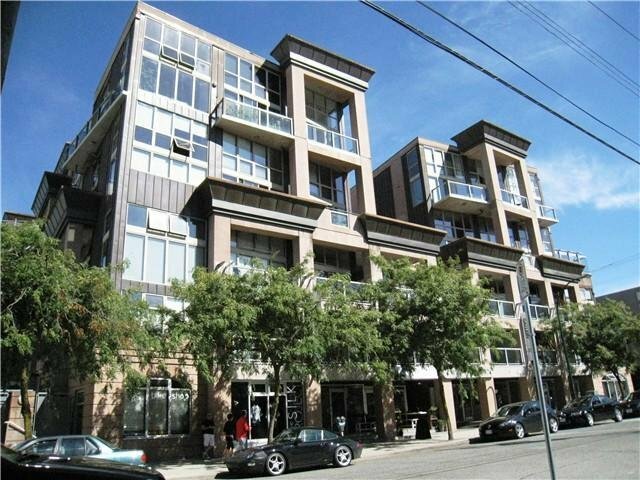 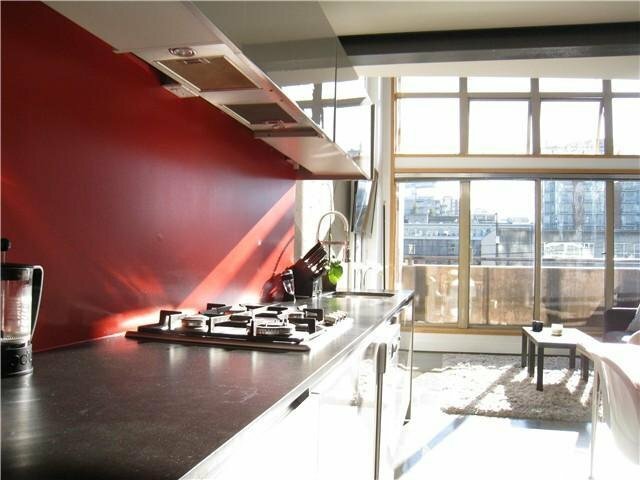 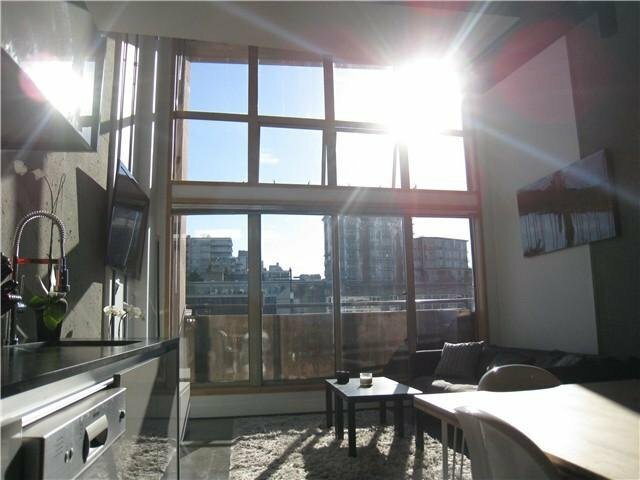 # 410 1529 W 6th Av, Vancouver - SOLD | Guy Christie - Oakwyn Realty Ltd.
WSIX (Live/Work) Lofts. 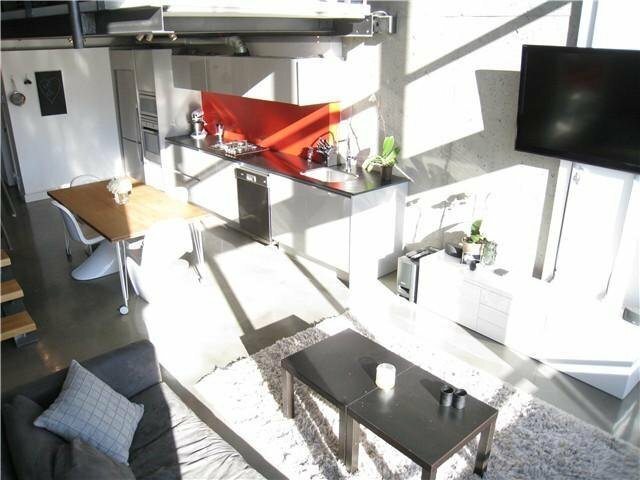 With 860 sqft of overall living space - this fully renovated, 2 level, south-facing loft with 15' ceilings, heated concrete floors, walk-in closet & private deck is sure to fit the bill. 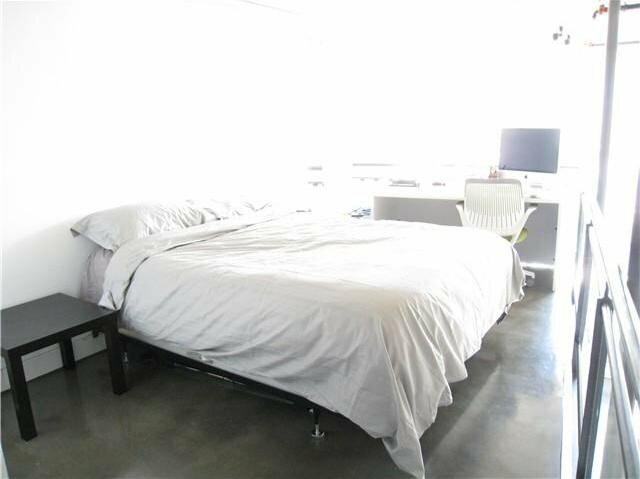 In-suite laundry, parking & S torage are all included and pets & rentals are welcome. 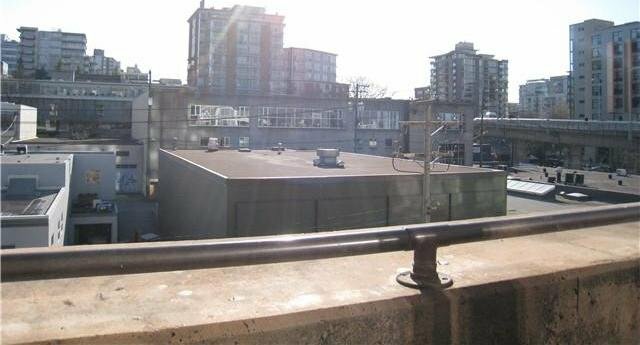 Perfectly situated at the foot of the Granville Street Bridge with a Walk Score of 97. 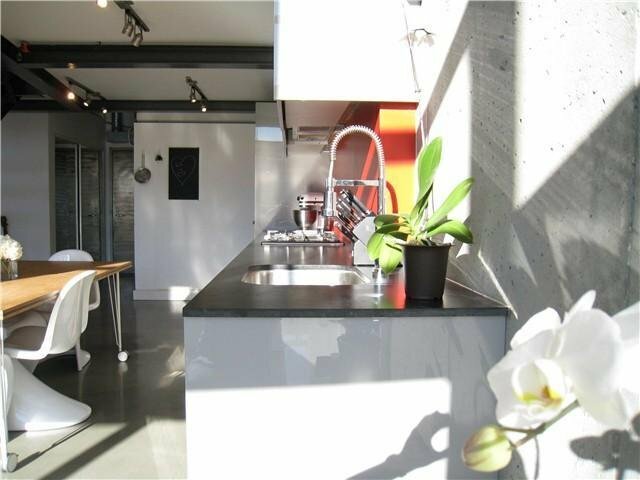 Everything is at your fingertips-from the prestigious shopping district of South Granville to the Public Market & Artist's Studios of Granville Island. 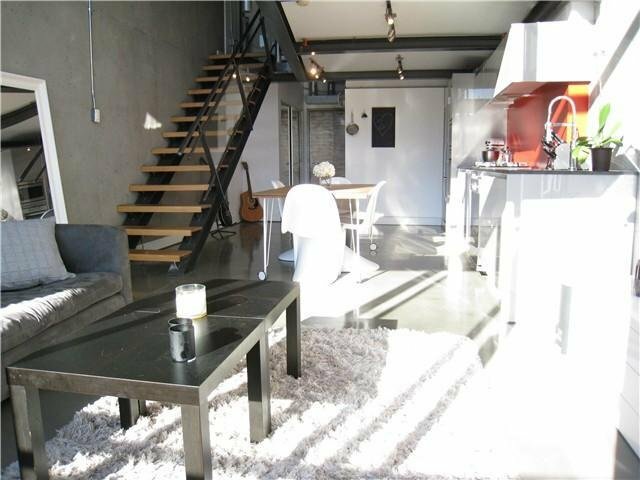 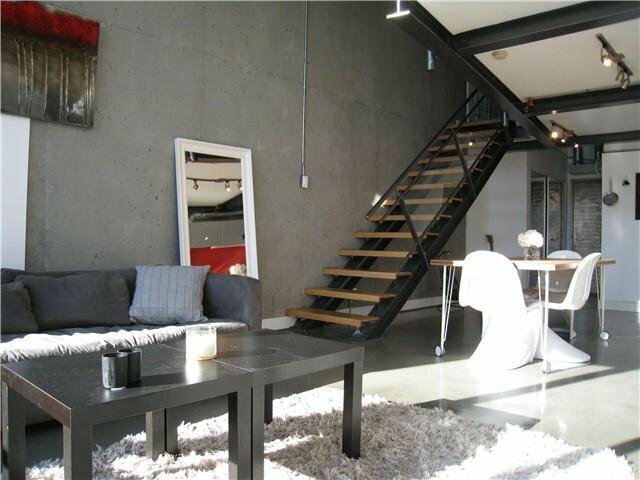 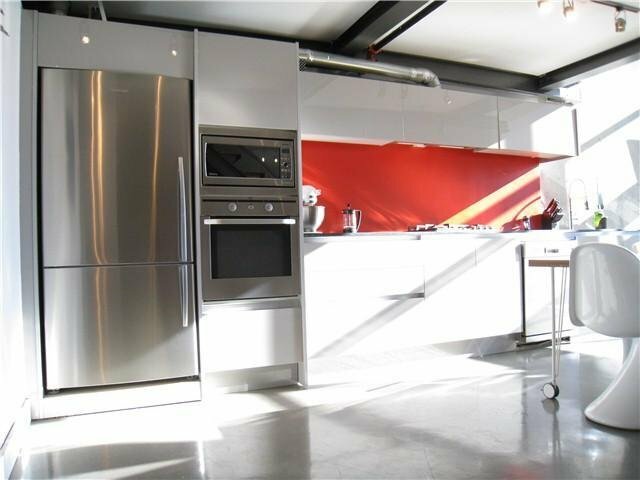 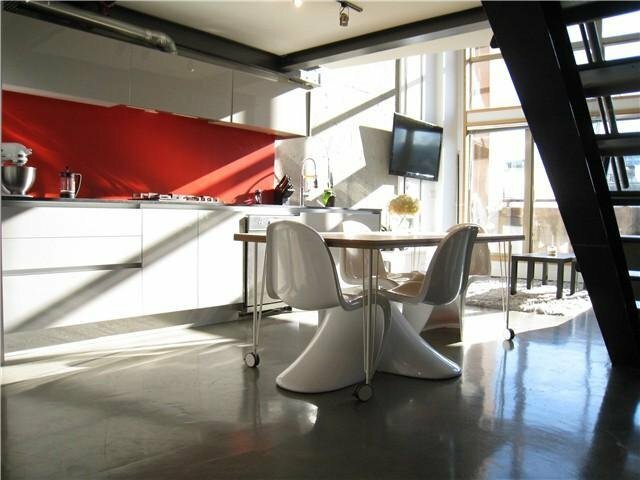 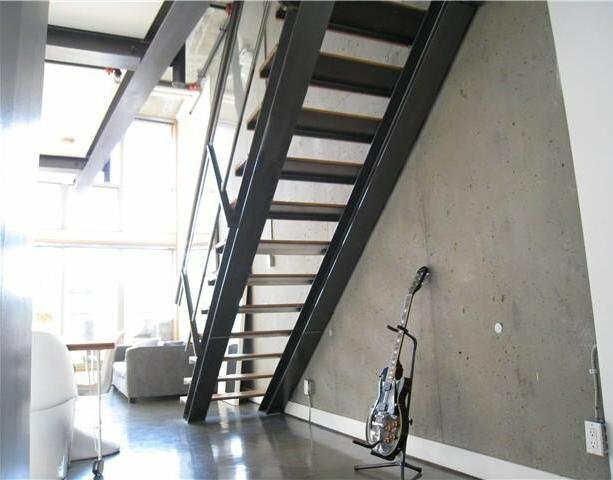 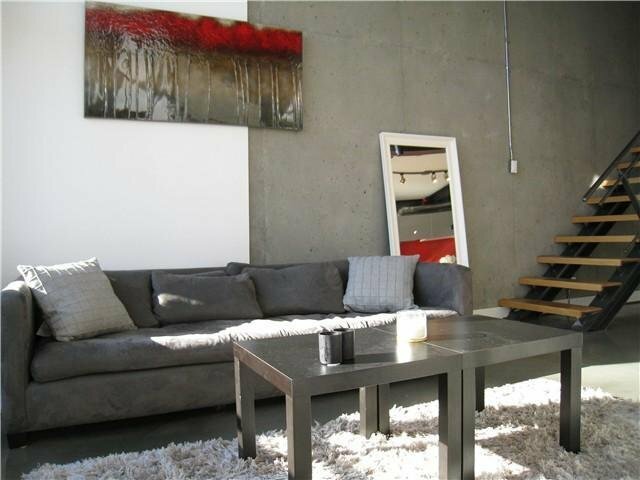 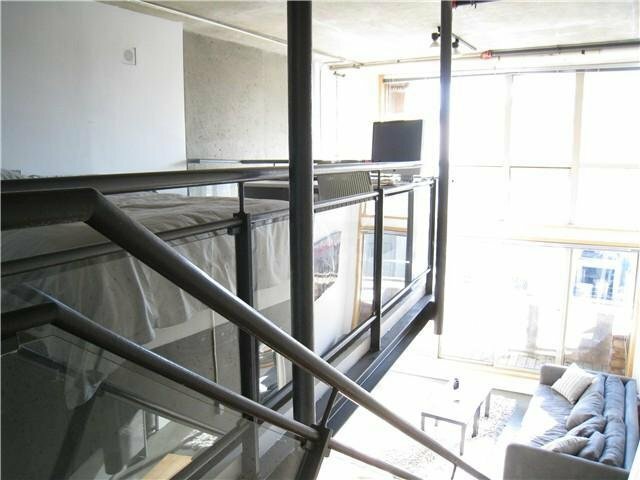 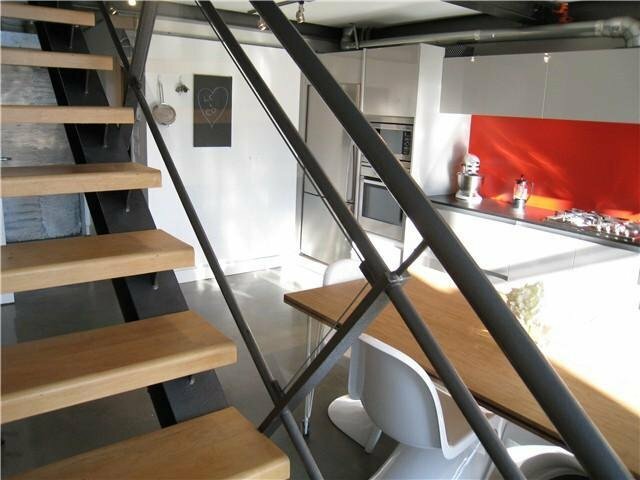 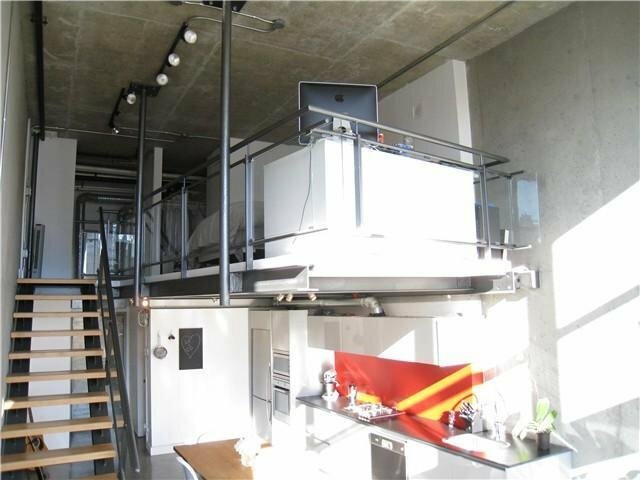 Invest, live, run your business or rent out this stunning 2 level concrete loft. 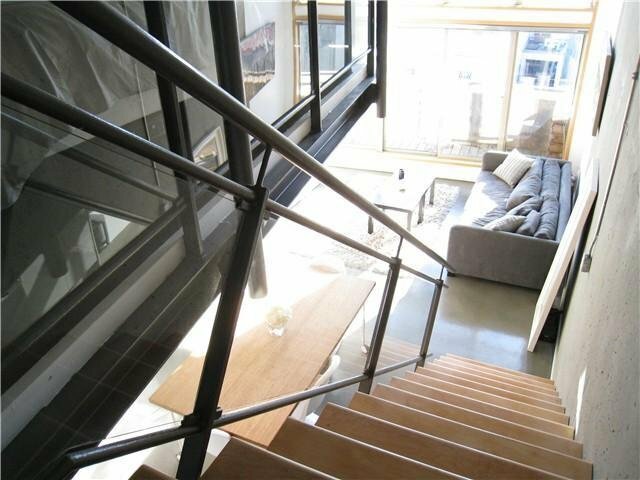 Visit realtor's website for more photos, info & floorplans then call for a private viewing.